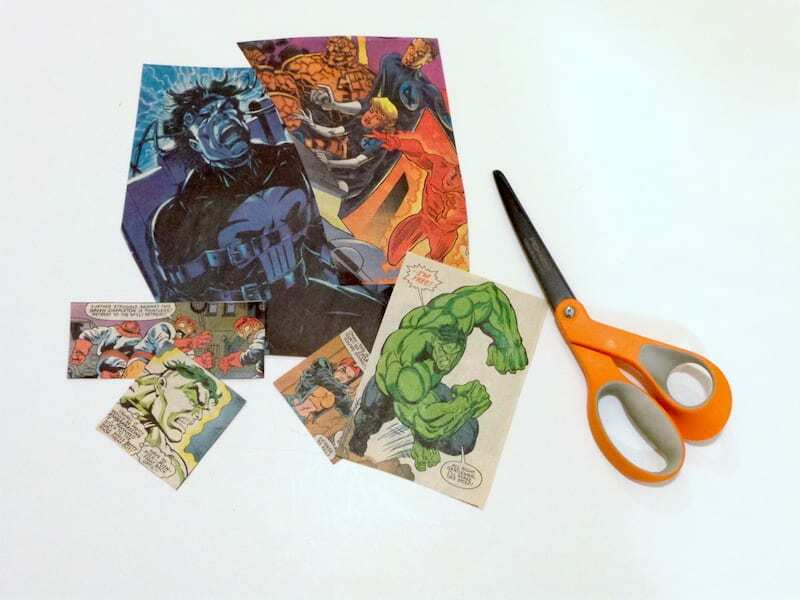 Use your favorite comic books (or copies) and Mod Podge to make these easy comic book letters! 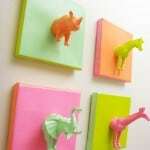 Perfect for budget friendly wall decor. 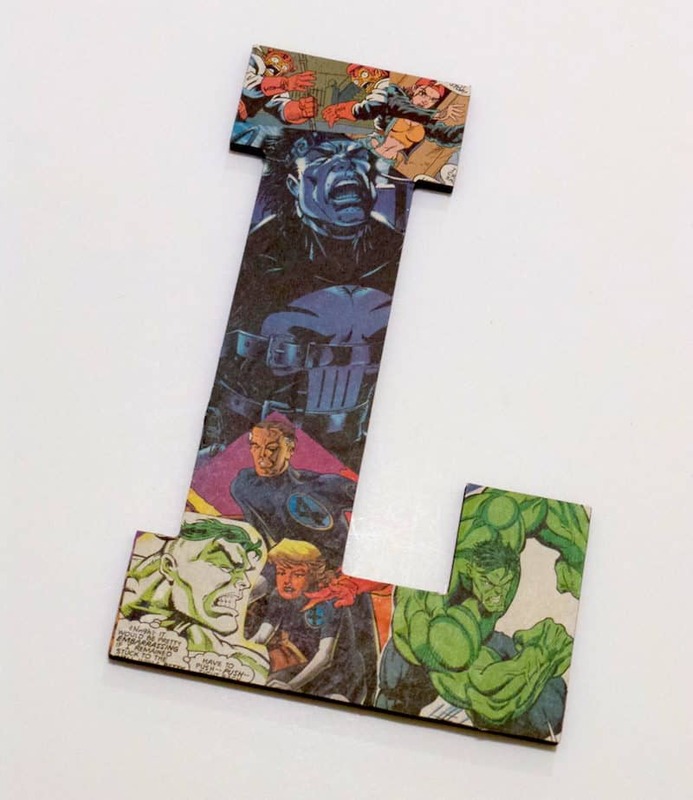 If you're looking for budget friendly wall decor, and you love comic books, this is a project you're going to love: comic book letters! 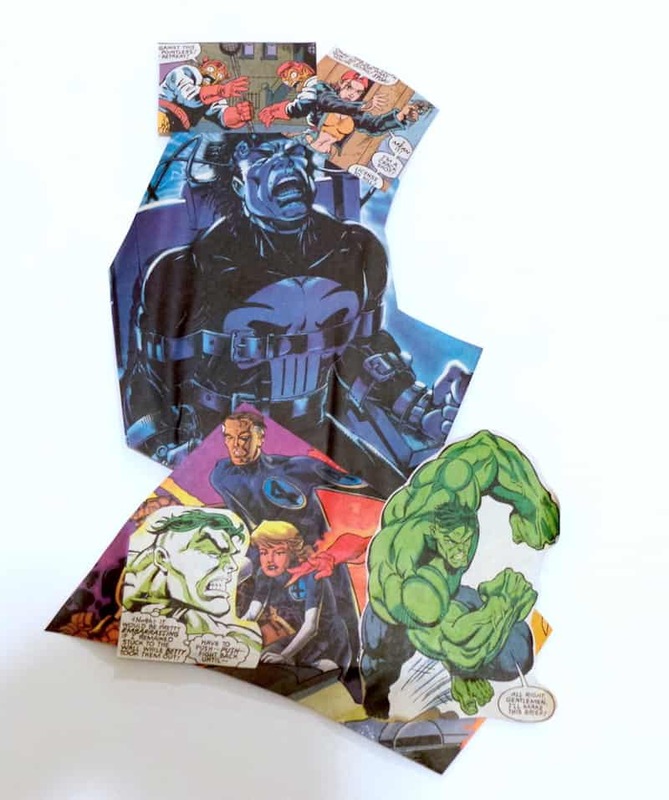 This comic book craft is so easy to do . 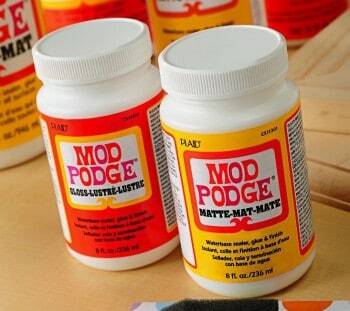 . . you don't have to be a Mod Podge expert to try it. 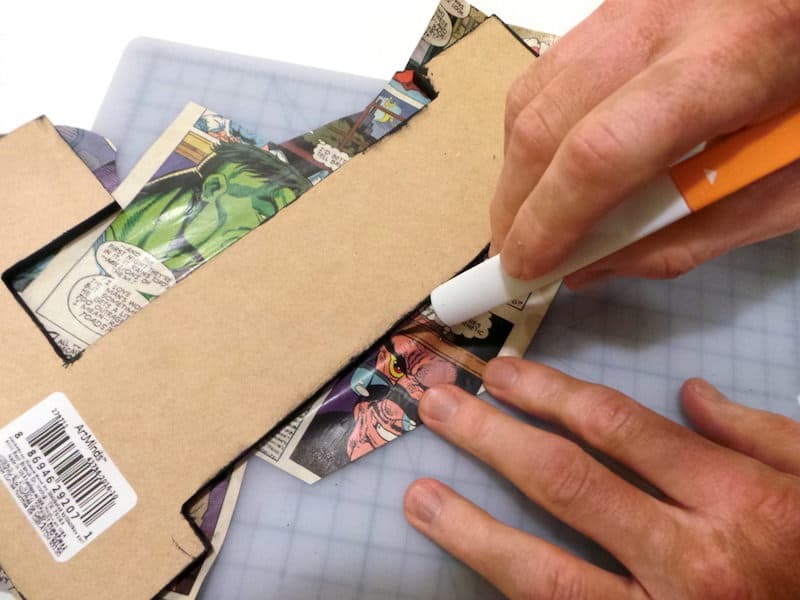 One thing that may have you hesitating is that you don't want to cut up your beloved comic books. Well don't fear! 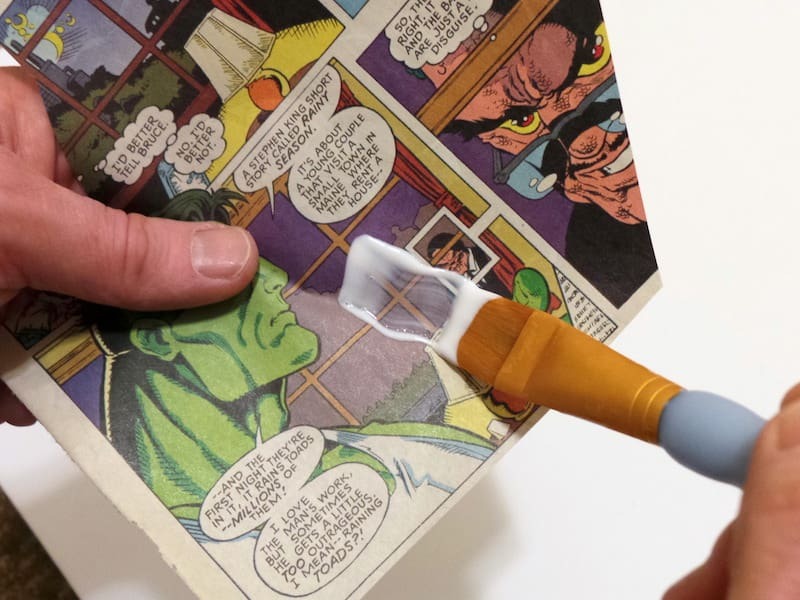 You can make color copies of your favorite pages (I highly recommend laserjet for no bleeding) and then decoupage away. 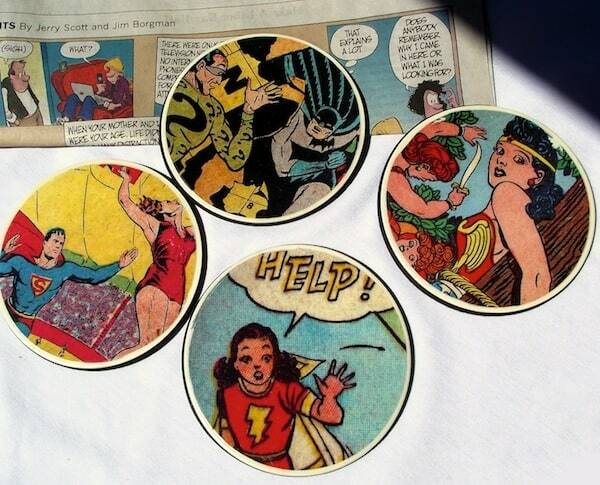 This is perfect for anyone that is obsessed with comic books . . . and also likes their own name. Learn how to make it below. 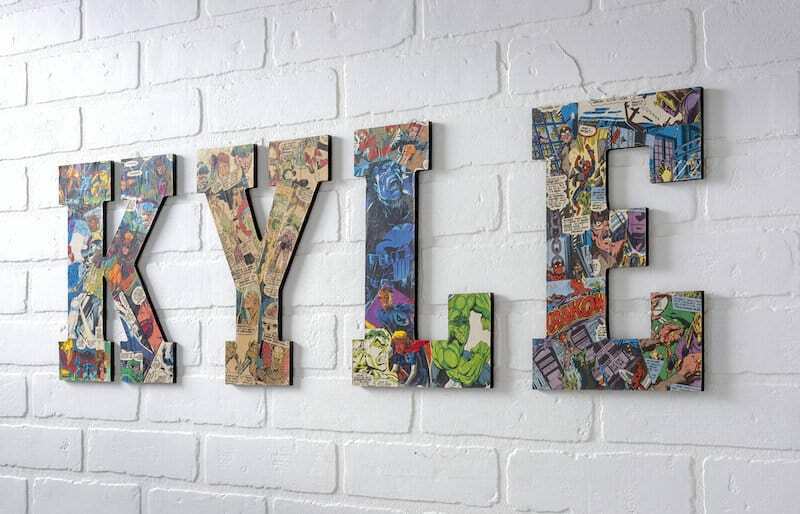 Give the edges of the wood letters a little touch of paint. You can use any color you like – we used black. Let dry. 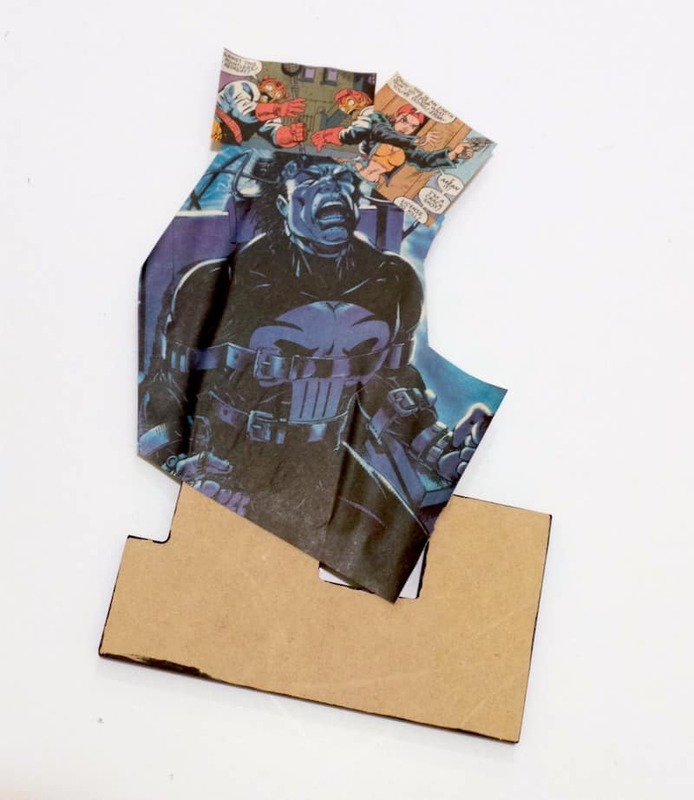 Cut your comic books or color copies into “bite-sized” pieces. You're going to collage them on the front of the letter. 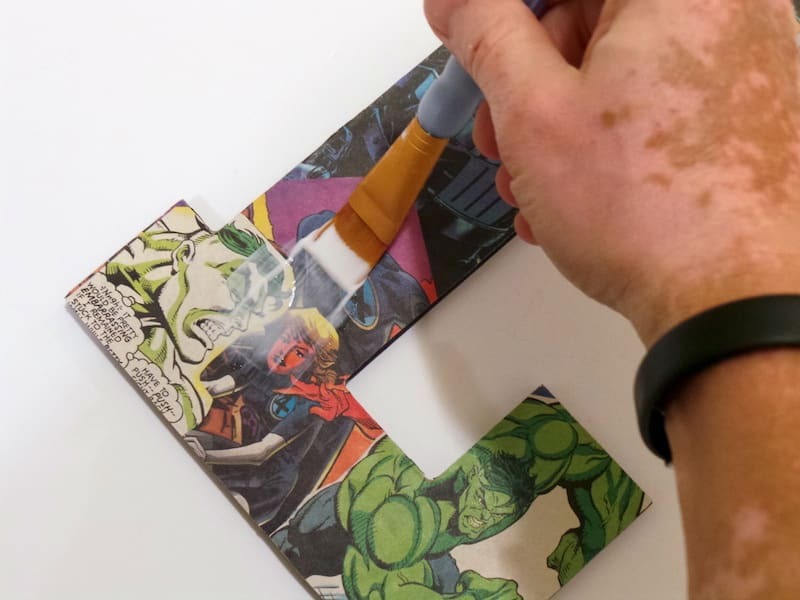 Add Mod Podge to the back of the comic book pieces and then to the front of the letter . 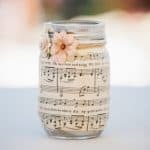 . .
smooth them down, layering as you go. Eventually you'll have the whole letter covered. Let it dry. 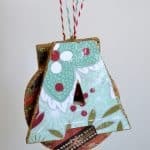 Flip the letter over onto a craft mat and use a craft knife to trim off the excess. 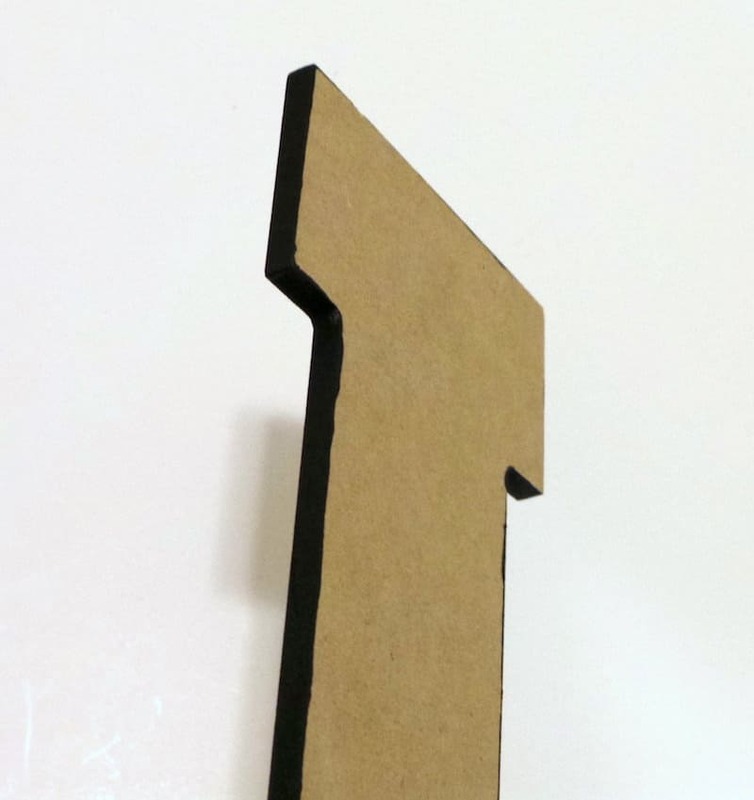 Your letter will look like this but you aren't quite done! 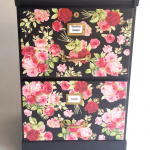 You need to add a coat of Mod Podge on top (or two) to seal your letter. Repeat this process with the other letters. 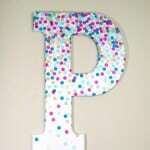 Once your letters are complete and dry, hang them to the wall with Command strips. They look fabulously nerdy!